Information: Luther Halsey Gulick, M.D. (1865–1918), teacher, organizer, and author of folk dance books. 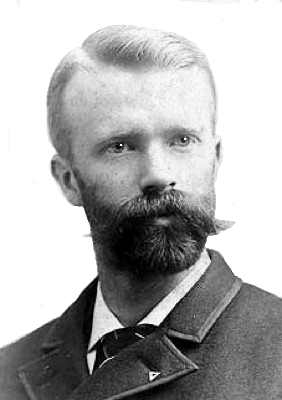 Luther Gulick was a founder of the folk dance movement (along with Mary Wood Hinman), a mentor to Elizabeth Burchenal, and author of dance books. An American physical education instructor, international basketball official, and founder of the Camp Fire Girls. His son was Luther Halsey III Gulick (1892–1993), a scholar of public administration. Created POSDCORB: Planning, Organizing, Staffing, Directing, Coordinating, Reporting and Budgeting. His daughter was Frances Gulick Jewett, who wrote on public sanitation. Folk and National Dances. New York: ?, 1908. The Healthful Art of Dancing. 1910.